Scans of Middle-Eastern chessboards, showing four inlay designs: corner square, top rectangle, and two small chessboard fields. 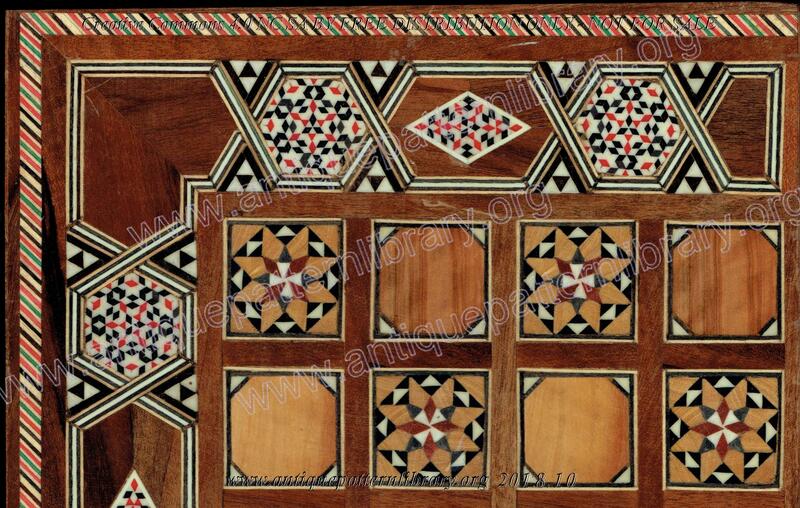 The chessboards have a backgammon board on the inside, with its own inlay design, which will be done later. The designs are also suitable for quilting, mosaic, and leaded glass work. From the collection of Sytske Wijnsma.